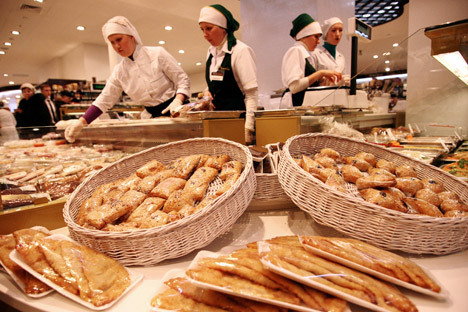 The halal market is currently experiencing a worldwide boom, and Russia is no exception. RIR spoke with Aidar Gazizov, general director of the International Center for Halal Standardization and Certification of the Russian Mufti Council, about the developments of this relatively young industry in Russia. What does one have to do in order to receive a halal certificate in Russia? Receiving a halal certificate is not a complicated process. First of all the establishment has to follow all the existing Russian and international sanitary norms. Then, during the process of certification we train them in the halal rules and requirements, carrying out a full analysis of production. How is the process of obtaining a certificate in Russia different from other countries? The process of obtaining a certificate in Russia is not that different from in other countries. We have established ties with leading world bodies and organizations, studied the experience of countries such as Malaysia, Turkey, the UAE, Saudi Arabia, Indonesia and others. Currently, there are plans to create a single, unified halal standard. Which halal services are in demand in the Russian market? In particular, how successful is Islamic banking? The international standards of financial products that are in accordance with Sharia regulations have already been translated into Russian. However, our expert community and the Economy Department of the Russian Mufti Council must do more to resolve issues related to the implementation of these products. With which countries have you already established cooperation in the halal industry? We have good relations with the Islamic nations, including countries from the Arab world, with whose embassies and ministries we hold regular meetings. In July 2014 our center was accredited to the UAE Ministry of Environment and Water Resources, something that will allow Russian producers to find potential Middle East halal markets.